Don’t let going back to school get you down! What better way to welcome you back to school than by checking out local establishments downtown and benefitting local schools! The party starts at Fire American Tavern at 8pm. From there we will hit up 4-5 other venues. What’s included with your ticket? All attendees will be able to skip the lines and enjoy NO COVER during our time slot, specials all night, prizes, games, select samples and giveaways all night! If you attending the previous two events you know we gave a lot of stuff out! 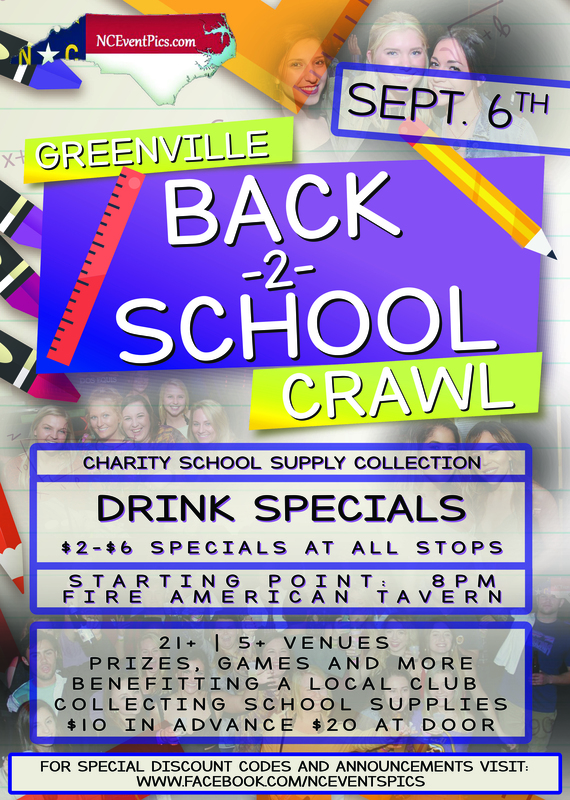 We will be accepting school supplies as well as benefitting a local club.